One of the juiciest prizes of Greece's privatization program, gas company DEPA and its transmission subsidiary DESFA, are expected to fetch between 1 billion and 2 billion euros at an upcoming auction. Natural gas assets being sold by crisis-ridden Greece are at the center of an escalating battle between Russian companies with ready cash and European officials reluctant to facilitate the growth of Moscow's influence in their backyard. 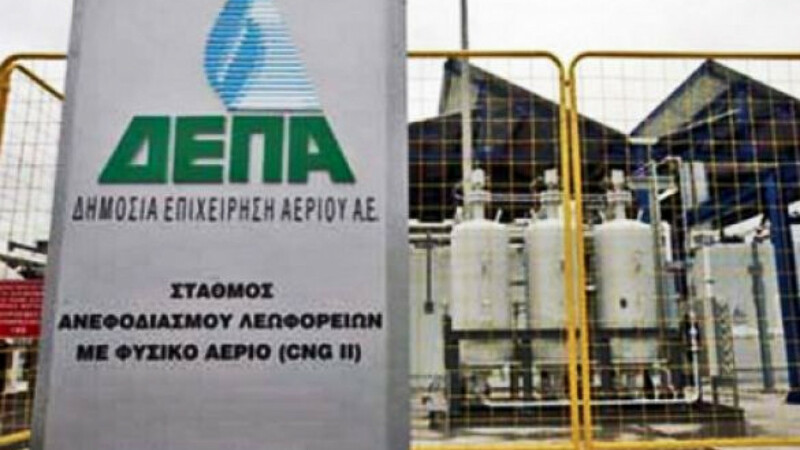 One of the juiciest prizes of Greece's privatization program, gas company DEPA and its transmission subsidiary DESFA, are expected to fetch between 1 billion and 2 billion euros ($1.35 billion to $2.7 billion) at an upcoming auction, which is being seen as a test case. Victory for a Russian company could open the door to a wave of investment in Greece, a country linked to Russia by the Orthodox faith. Gazprom and Sintez, a small privately owned energy outfit, are the two Russian firms selected to participate in the final round of bidding, which closes April 12. They are competing against SOCAR, the Azerbaijani state energy company, and two Greek consortiums. There is particular opposition to the prospect of a Gazprom win from the European Union, which has long fought to reduce its dependence on Russian gas. But afraid of the unpredictable consequences of a Greek withdrawal from the European single currency, no western European or U.S. energy company has shown any interest in DEPA and DESFA. "[The Greeks] want to sail between Scylla and Charybdis," Andrei Korolev, chief executive of Sintez, told The Moscow Times. "Even they have admitted that there are forces that don't want Russian companies to receive control over these assets." Despite Greece's huge levels of debt and a 172 billion euro bailout — conditional on internal reform — granted by the troika of the International Monetary Fund, the European Commission and the European Central Bank, the privatization of DEPA and DESFA has been repeatedly delayed. A final decision by Greek authorities on the winner of the auction is now expected in May, Korolev said. European Union officials do not publicly voice their fears of a Gazprom win, but at a daily briefing on Jan. 8, State Department spokeswoman Victoria Nuland was asked about the American position on DEPA and DESFA. She appeared to express opposition to a move that would allow Gazprom to take control. "We do counsel countries everywhere … to have diverse sources of supply for their national energy needs so that they can't be held hostage," she said, according to a transcript on the State Department website. "A Gazprom win is exactly the opposite of what Europe wants," said Ildar Davletshin, an oil and gas analyst at Renaissance Capital. "Europe wants competition among suppliers, developed infrastructure, a lower price and diversified sources of gas." The other Russian bidder, Sintez, is controlled by tycoon Leonid Lebedev. It is promoting itself as the only rational choice for Greece because it is not Gazprom, is privately owned and is offering the best price. Korolev said Sintez would invest 3 billion euros in DEPA and DESFA over five years if it won. "Greece is a potential European hub for gas from the Mediterranean … gas from North African [and] Arabic countries and gas from countries in the Caspian basin," he said. But experts said Sintez could be bidding as a secret Gazprom proxy included in the auction because Gazprom is well-aware of the entrenched opposition to its candidacy. Gazprom is mired in an EU antitrust investigation, and Brussels' Third Energy Package, which seeks to split companies' production operations from their transmission networks, is widely understood to be aimed at the Russian gas giant. "Gazprom realizes that it will be hard to get the asset, not because of price but because of political pressure," said an industry insider, who requested anonymity to speak freely. "So they may use a private interest as part of their tactics." While Korolev denied that there was any deal with Gazprom or that official negotiations between the two companies were under way, he said Sintez would look to partner with Gazprom in Greece if it made an attractive proposal. Gazprom supplies more than 80 percent of Greece's gas, and the acquisition of DEPA and DESFA would help it consolidate its position in southern Europe at a time when the company is under pressure both at home and abroad. "Gazprom is scared of losing this market," Korolev said. DEPA and DESFA are some of the biggest energy assets to come onto the market as a result of the economic crisis that has shaken Europe, but Russian companies have been active in other sectors. State-owned Sberbank spent $3.5 billion to buy Turkey's DenizBank from troubled Franco-Belgian lender Dexia last year, and it spent $661 million to purchase the international arm of Austria's Volksbank in 2011. And Russian companies have not been idle in Greece, the epicenter of Europe's debt crisis. Russian direct investment in Greece jumped from $32 million in 2009 to $318 million in 2010 and $93 million in 2011, according to Central Bank statistics. One of the largest recent investments was made by Russian businessman Ivan Savvidi, an ethnic Greek, when he bought a controlling stake in Thessaloniki football club PAOK in August for about 10 million euros. PAOK is the favorite team of the approximately 190,000 ethnic Greeks and Pontic Greeks in Russia. There are large Greek populations on the country's Black Sea coast and in the Stavropol region, in the North Caucasus. "I showed Russian business that you don't need to be afraid of Greece and the Greek economy," Savvidi said of his PAOK purchase. "And … if it's necessary, I have an instrument of influence." Russian companies are also understood to have shown interest in Greek ports, railways, airports and opportunities in the tourism and hotel industries. But a lot depends on how the gas privatization is handled. "Greece's creditors do not want to strengthen the role of Russia," said Savvidi, a former Duma deputy. "All our attention today is on how the process of selling DEPA and DESFA will end."